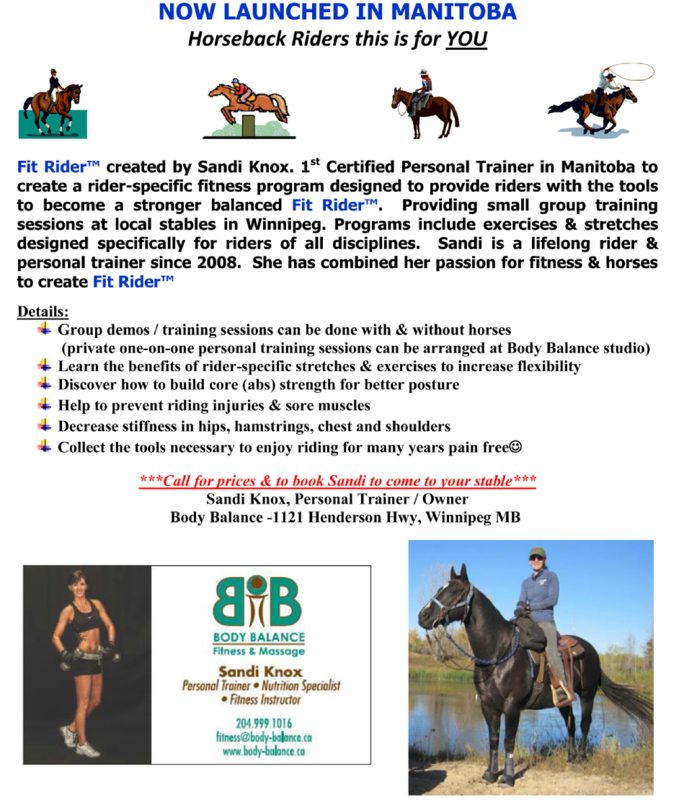 Fit Rider™ was created by Sandi Knox to aid horseback riders in becoming stronger and more fit riders by offering group demos/training sessions. Programs are based on exercises and stretches designed specifically for horseback riders of all disciplines. 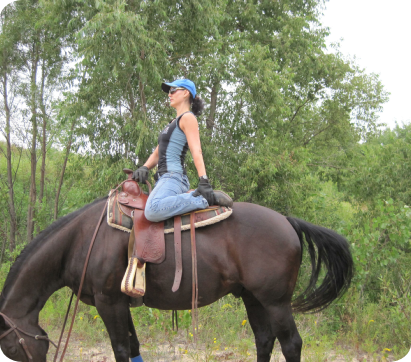 She is the 1st Certified Personal Trainer in Manitoba to create a Fitness Program designed specifically for horseback riders!!! One-on-One Personal Training Sessions $65. Session to take place at Body Balance studio. Group Training Sessions $20 per person. Minimum 8 people. Maximum 15. Sessions to take place at your riding facility.